A mattress can be one of the more expensive items you buy for your home. But a quality mattress is essential to getting good sleep and waking up well rested. Sleep is very important for your overall health so you should do some research to ensure that you find a mattress that provides the support and comfort you need to sleep through the night. There are many different mattresses available at different prices. The best ones don’t have to be the most expensive. The following are the top 10 best mattresses for the money based on consumer report. 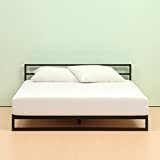 This full size mattress from Zinus is priced at around $180. It has firm support with the combination of the unique iCoil system springs and high quality comfort materials. It has pocketed springs that are designed to eliminate motion transfer so you don’t wake up your partner when moving at night. This mattress is compressed and shipped in a box, making it easy to bring inside the home and install quickly. 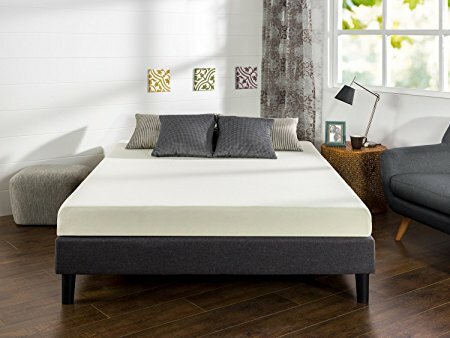 This Zinus Sleep Master queen size mattress is priced at around $165. 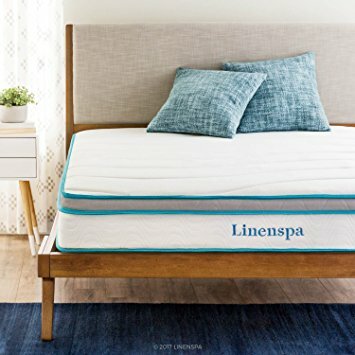 This mattress offers customized support and firmness through the use of a pocketed coil system with hundreds of individual pocketed springs. The springs offer support and also greatly reduce motion transfer. 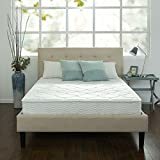 This mattress uses the highest quality foam to add comfort for the entire body and reduce pressure points so that you can sleep throughout the night without strain on the body. 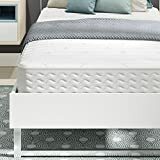 The Zinus twin size memory foam mattress is made with a top layer of 1.5″ comfort foam, along with layers of supportive foam underneath. This mattress is priced at around $110. It has a soft quilted cover made of knitted jacquard. 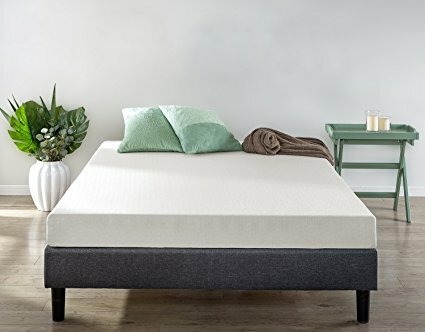 The memory foam in the mattress is infused with green tea, charcoal, and natural plant oil. The addition of these natural compounds help to reduce bacteria growth and prevent odor. 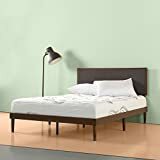 This twin size mattress from Zinus has a price at around $150. It is made with conforming memory foam that cradles the body for support and comfort throughout the night. The mattress uses a technologically advanced foam that replaces some of the petroleum-based materials with plant based materials. It contains natural plant oil that helps the mattress remain fresh and free of odors and bacteria. The Zinus 6″ twin mattress is lightweight and compact making it ideal for children’s rooms and dorms. This mattress is priced at around $100. It has a 1″ layer of memory foam that is infused with gel to keep you cool at night and prevent overheating. 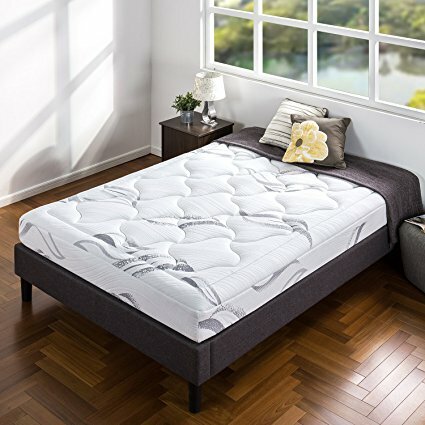 This mattress also has an internal layer of high density foam to offer excellent support for the entire body. It’s infused with green tea extract to help prevent odors and to keep bacteria growth down. 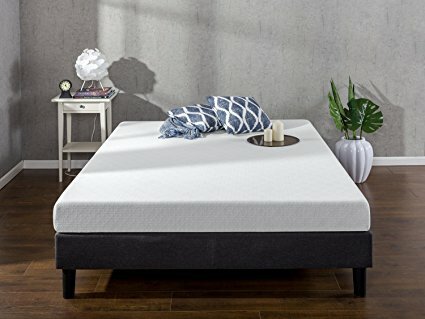 The Signature Sleep 8″ memory foam mattress comes in sizes twin through king with prices starting at around $128. The mattress has a 2″ layer of supportive memory foam that is comfortable and helps to ease strain on the body while sleeping. It’s made with materials that are free of flame retardants, ozone depleters, mercury, formaldehyde, and other potentially harmful chemicals. It has a soft and breathable knit cover. 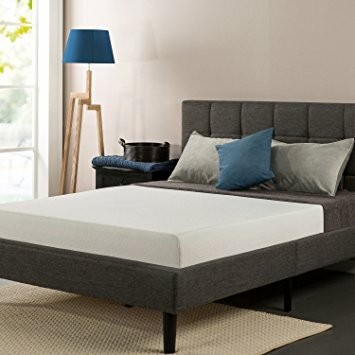 This mattress from Signature Sleep is also available in sizes twin through king with the prices starting at around $122 for the twin size. The mattress has independently encased coils to provide firm support for those who prefer a firmer sleeping surface. 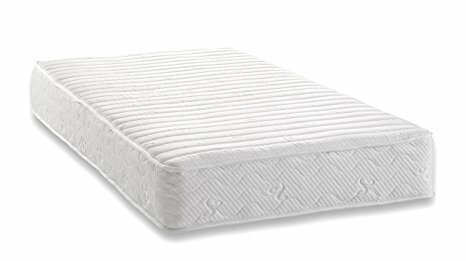 This mattress also contains a layer of certified US foam that is tested for durability and content. It’s made with materials that are free of many harmful substances and also is considered a low VOC option. The Zinus Sleep Master twin size mattress costs around $80. 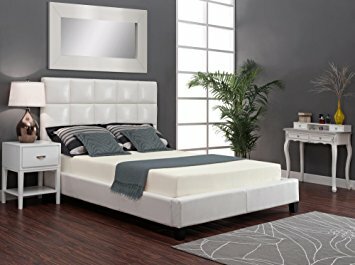 This mattress is lightweight and is compressed and shipped in a box for easy installation. The mattress has a 1.5″ layer of memory foam at the surface and a layer of high density foam for support and durability. This mattress is also available in narrow twin size, full size and queen size. The LinenSpa 8″ memory foam mattress in twin size is priced at around $92. This mattress is a foam and innerspring hybrid that offers springs for support and durability while also having a layer of memory foam for comfort. The mattress has a cozy knit cover. It comes with a 10-year manufacturer’s warranty. The queen size mattress has a price of under $130. 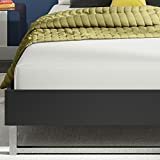 The Zinus memory foam mattress has a 1″ layer of memory foam for comfort. 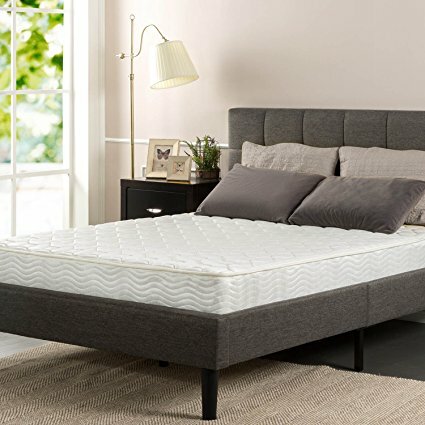 Underneath the memory foam is 5″ of high density support foam to provide a supportive base for getting a good night’s rest. 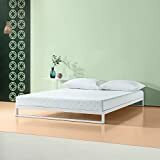 The materials in the mattress are infused with green tea extract and castor seed oil, both of which help to prevent odor and bacteria growth. Finding the best mattress for the money takes some research. 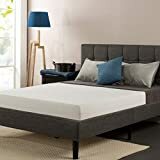 One of the best ways to find objective information is to read reviews from other consumers who have purchased the mattress and used it for a considerable amount of time. These reviews can provide a wealth of information that you can’t get from a product description. When comparing different mattress brands, it’s important to consider the manufacturer’s warranty. Many brands will offer a warranty for anywhere from 10 years to a lifetime warranty. 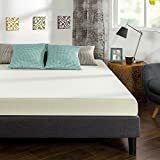 This type of reassurance can help you fell more confident that you found the best mattress for the money and that it will be replaced if something does go wrong.